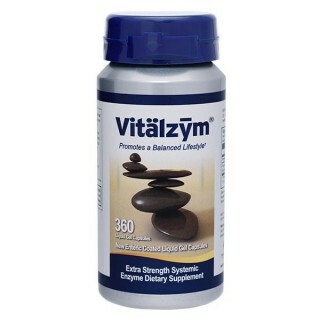 Vitalzym® Extra Strength contains potent proteolytic enzymes designed to support health and promote healing and repair. Enzymes are said to be the “sparks of life.” They are considered keys that can unlock the door to a healthier you because they maintain millions of bodily functions. 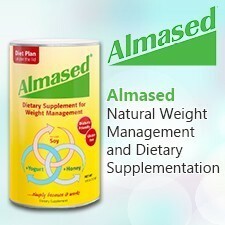 All metabolism and metabolic processes that occur within the body require enzymes for them to take place. We must have an adequate supply of enzymes to survive. 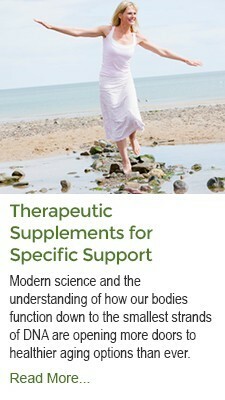 Vitalzym works synergistically to provide total system support. 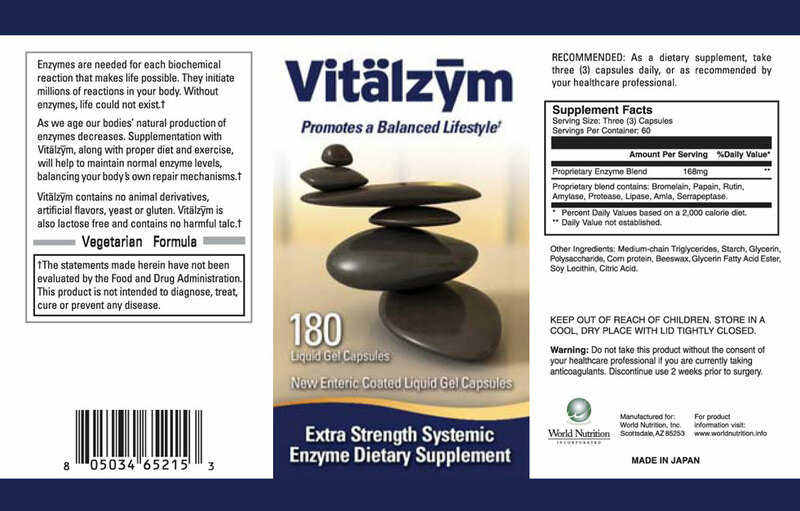 Vitalzym® Extra Strength liquid enzymes are the world’s leading all-natural, vegetarian systemic enzyme supplement, and the only enzyme product with liquid enzymes. Vitalzym features an unmatched proprietary blend that includes Serrapeptase, Bromelain, Papain, Rutin, Amylase, Protease, Lipase and Amla Extract combined in a base of medium-chain triglycerides (MCT) oil from coconuts. 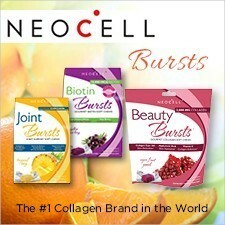 These softgel capsules are available in 60, 180, and 360 count bottles. What does this mean for you? Bottom line, you’ll be enjoying a smaller, easy-to-swallow capsule, taking less capsules per each dose and less doses per day to receive maximum systemic support compared to other systemic enzyme products. Thanks to the advanced delivery system, superior potency, unrivaled absorption rates, and reliable consistency of enzymes, you won’t need to wait three months to see results. 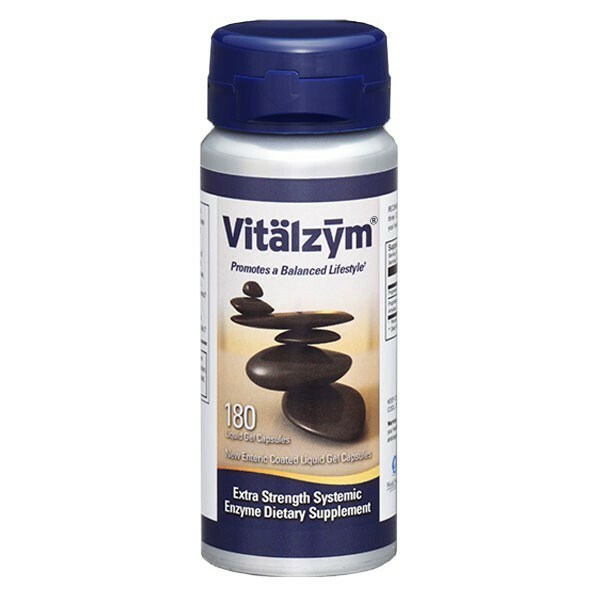 Vitalzym Extra Strength has been formulated with a technologically advanced delivery system that allows for reduced dosage and vastly increased effectiveness as compared to other systemic enzyme products. Our bodies have a variety of functional units, such as a digestive system, an immune system, a cardiovascular system, and a circulatory system. Each system requires energy in order to perform optimally. It just so happens that enzymes provide this much needed energy for the successful completion of each biological function. They are proteins that are responsible for every chemical reaction that goes on in your body—governing all functions related to your tissues, muscles, bones, organs, and cells. Every second of our lives, over 3,000 different enzymes are constantly renewing and changing, often at unbelievable speeds. Enzymes have been studied since the early 1900s. Even though there is over a century's worth of information regarding their use, there is still a lot to learn about them. However, one certainty is that we would not exist without them. 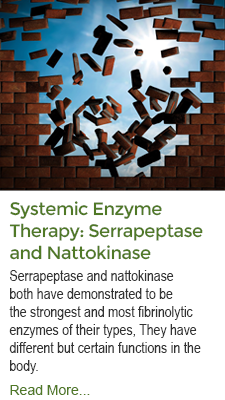 Over the last decade, science has uncovered numerous roles for enzymes than ever thought possible. 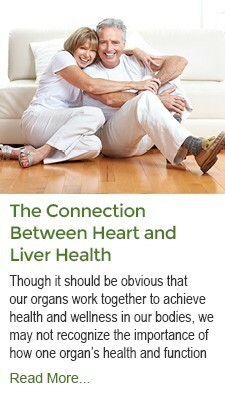 They initiate millions of reactions within your body. 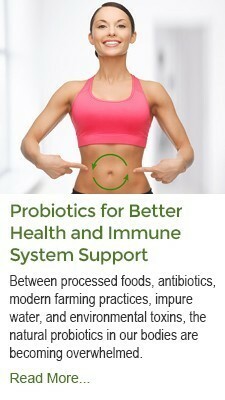 In fact, many health care professionals are now advocating the use of enzymes for various conditions and post-operative healing. Kunze R., Ransberger K., et at: Humoral immunomodulatory capacity of proteases in immune complex decomposition and formation. First International symposium on combination therapies, Washington, DC, 1991. Looking at the delivery system refers to how the enzymes are manufactured, whether it is a powder inside a capsule, a tablet, or as an enteric coated capsule—which is the most effective, state of the art delivery system on the market today. 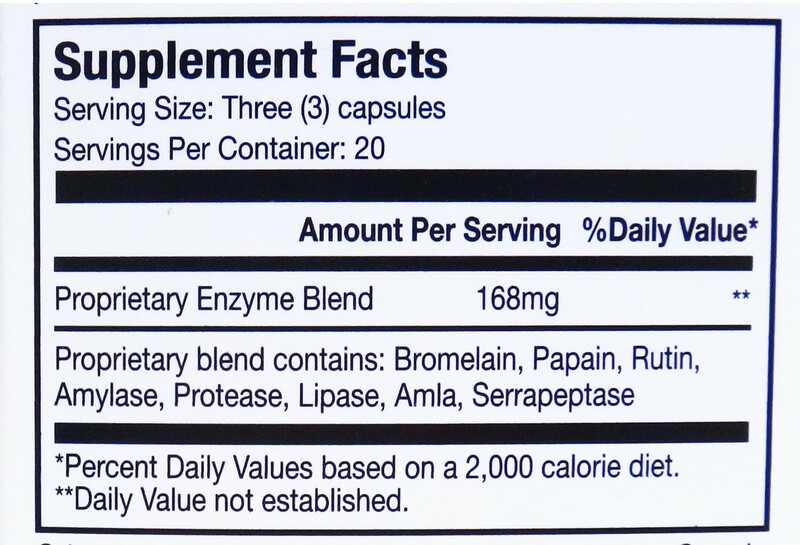 Include liquid enzymes in that enteric coated capsule, and you have the most effective systemic enzyme product available. 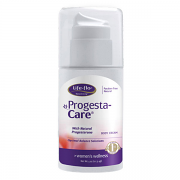 Protects capsule contents from acidic environments of stomach. After passing through the stomach, the capsule is easily broken down in pancreatic juices in the duodenum* (pH 6-8). 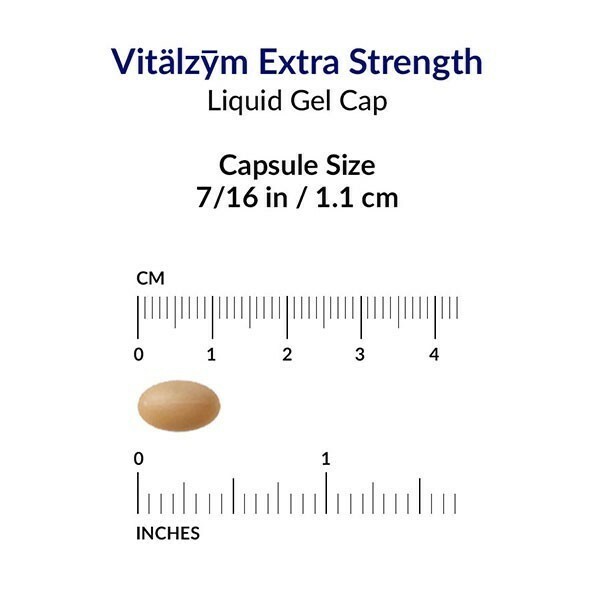 At the center of the advanced delivery system is the Solubilized Liquid Enzyme Filled Gel Capsule used to enhance the absorption of Vitalzym. The technology of liquid-filled capsules is superior to that of capsules filled with powder because it uses low heat production, provides more uniform dose distribution, and prolongs enzyme activity. Prolonged Enzyme Activity – Enzymes always retain some amount of moisture when they are produced. Enzymes, as proteins, are more susceptible to denaturation at higher moisture. However, even with lower moisture, enzyme powders will lose some of their activity over time, resulting in a loss of up to 20% of activity over a 12-month period. 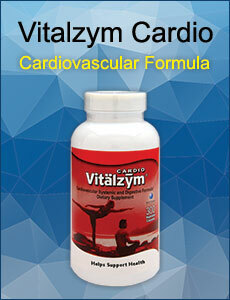 Vitalzym® enzymes are combined in medium-chain triglycerides (MCT) oil derived from coconuts. It is then decompressed during the manufacturing process, which removes the moisture completely. As a result, the loss of enzyme activity over time due to moisture will not occur after Vitalzym is produced, maintaining nearly 100% of the activity levels. Low Heat Production – Powder enzyme blends are available today that use an enteric coating, but they are typically in tablet form. The disadvantage of these blends is the amount of heat created with compressing the ingredients into a tablet. 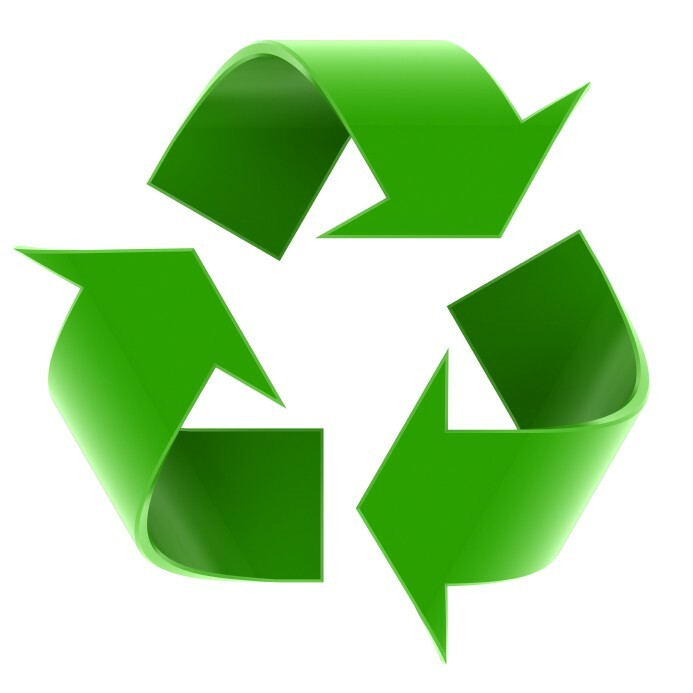 Enzymes are susceptible to high temperatures and may begin to degrade during the manufacturing process. 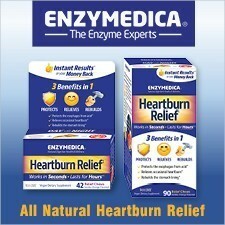 Solubilized Liquid-Filled Gel Capsules allow for an enteric coated enzyme product without activity loss from heat. Throughout all of the processes, Vitalzym is produced under strictly controlled temperature ranges. Vitalzym® is manufactured to have a 5-year shelf life with no loss of activity when properly stored in a cool, dry place with the lid tightly closed. The manufacturing of Vitalzym Extra Strength undergoes a high level of quality control. This applies to all aspects of making this product. Each individual capsule is eye inspected by two people 2 times. The facility's clean room has the highest quality air sterilization system available today. The facility is a class "100 FED-Std-209 Standard". This is the highest rating that can be achieved in the pharmaceutical industry. This achieves CLEAN to the extent that any person entering the production facility must go through a total body sterilization process. 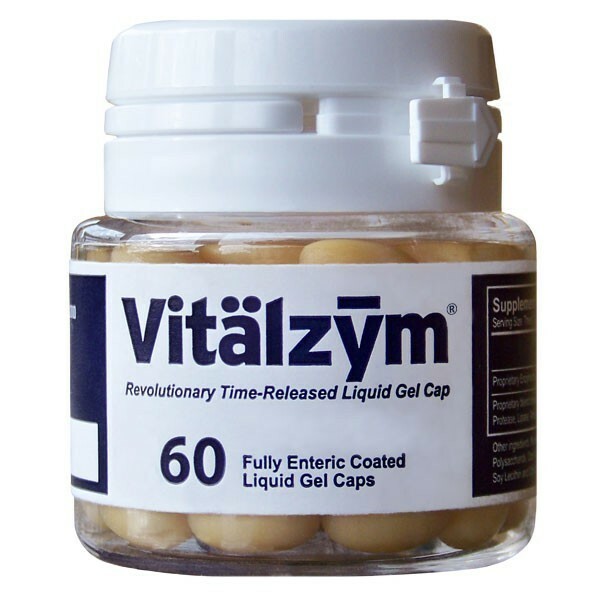 The all natural protective coating of Vitalzym® Extra Strength enteric coated liquid gel capsule prevents the enzymes from being destroyed by the stomach acids. The pancreatic juices break down the coating in the duodenum. 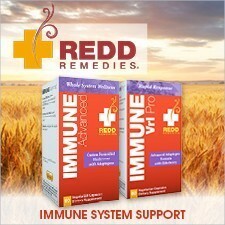 This makes nearly 100% of the enzyme contents available for absorption into the bloodstream. 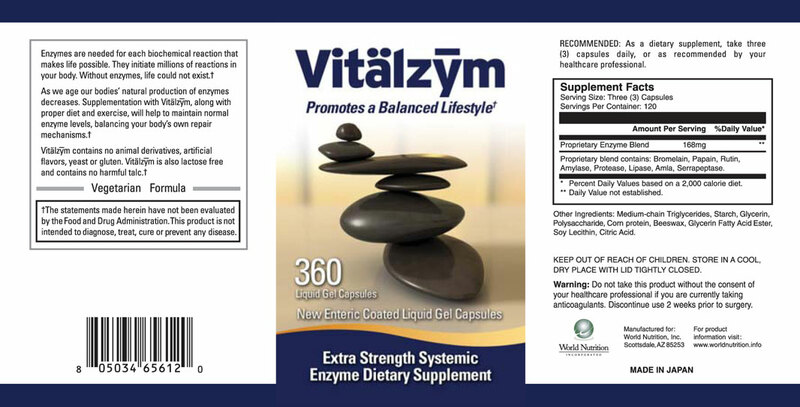 Vitalzym® is a trusted name in systemic enzyme supplementation. 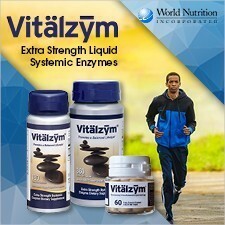 World Nutrition has produced extremely popular enzyme formulas for years, and now they bring you the latest technology in enzyme production with Vitalzym Extra Strength. Not everyone is comfortable swallowing a capsule or tablet that is 500mg or more. 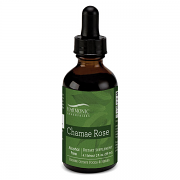 These capsules are about pea sized, contain fewer milligrams, and yet offer more benefits due to their high potency and absorbability than other enzyme products. 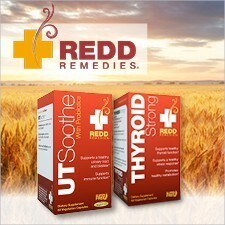 This allows you to benefit from taking fewer capsules per dose. The capsules themselves have a full USP (pharmaceutical grade) enteric coating for ease of swallowing. Enteric coating also ensures a complete delivery and release of the active ingredients. With such perfect dispersion, you can expect to receive 100% absolute consistency with every capsule. Liquid enzyme capsules provide better consistency of enzymes, higher potency, more concentration, greater purity, freshness, and unparalleled absorption. 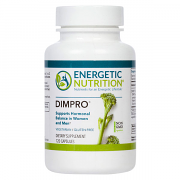 Vitalzym contains the highest serrapeptase enzyme units currently available in the United States. The capsules are 100% vegetarian. 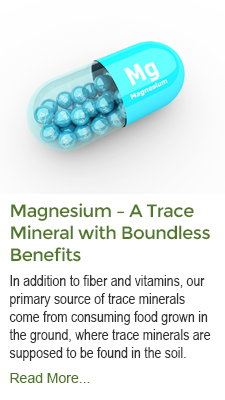 The capsules are non-GMO (genetically modified organisms). No genetic engineering here! What could be more convenient? The bottles are smaller than before, and easy to hold in your hand. Just flip the top open, shake out what you need, and you're on your way! The Vitalzym Extra Strength bottles are small - the largest being only 4" tall. They are made of recyclable aluminum (yes, they are lined), with recyclable plastic tops. This applies to all aspects of making this product. Each individual capsule is EYE INSPECTED by 2 people – 2 TIMES! The facility’s clean room has the highest quality air sterilization system available today. The facility is a class 100 FED-Std-209 Standard. This is the highest rating that can be achieved in the pharmaceutical industry. This achieves a “CLEAN” to the extent that any person entering the production facility must go through a total body sterilization process. 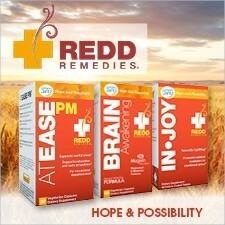 Within days of taking the enzymes my chronic pain (significantly reduced)! I am pleasantly surprised to say that they also have worked on my digestive issues, food allergies, and aid in my running recovery. I will keep singing your praises! Thanks again. I have used the Vitalzym now for many months and it has helped me tremendously by shrinking down my painful uterine fibroids. I thank you for that! This really does work! 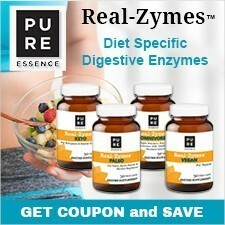 The enzymes are great! I am actually starting to feel like a productive human being again after three years of physical hell! Thanks. My wife was about to have an operation to remove fibroid tumors, and the pain she endured had been too long and she could not take it any more. Money is tight but sometimes you have to take a chance. We did and the results were more than great. The swelling went down and she says the pain has really eased up. I can tell she feels better so much so that I decided to try Vitalzym, and believe it or not Vitalzym (has helped our family with) all kinds of health problems. We are sold on Vitalzym for life. I am so excited. I have only been using Vitalzym for a month and I can already tell it is working. 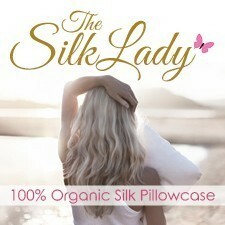 I bought for fibroid relief, and it is working on so many other things too! Thanks! 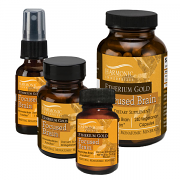 I wanted to share with you the fact that Vitalzym has given me such tremendous relief from my fibromyalgia symptoms. When I first started taking it I was desperate and in agony. I couldn't sit, couldn't lie down, standing hurt, everything hurt. 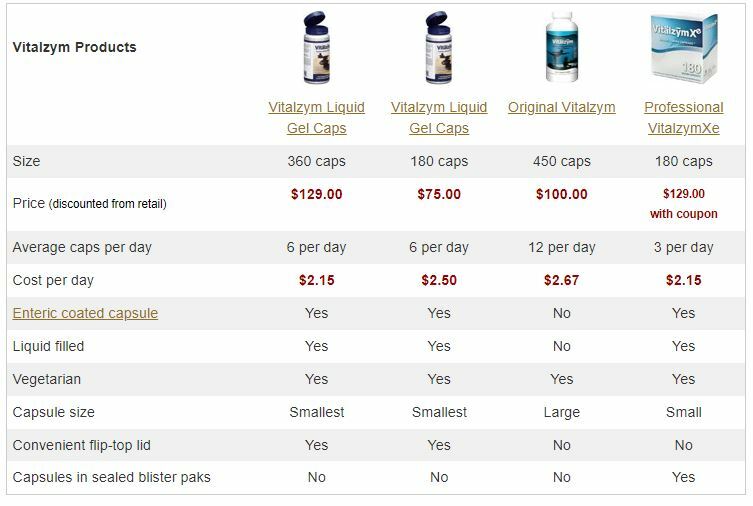 Vitalzym has been the one product that I have found to help with the chronic pain, and it wasn't long after starting to take it that I noticed the pain subsiding. Thank you for offering products for someone like myself who believes in natural treatments before chemical complications. Hello. I'm new to the board and glad I found it. I've been taking Vitalzym for almost three months now due to pain from adhesions (endometriosis), and the pain is almost gone. I still have some pain after exercising, but I can exercise longer than before ... I will take the enzymes up to 7 months. Thanks for the great product! 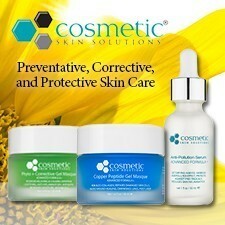 I wanted to say that this product has helped me in so many ways. 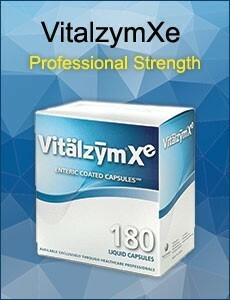 I had a bad accident in March of 2007 and was in constant pain up until I ordered the Vitalzym in June 2009. My legs hurt from the top to my knees and doctors couldn't find anything wrong. I went through therapy for months with no improvement. I'd also developed heel spurs and plantar fasciitis which even by themselves were extremely painful ... 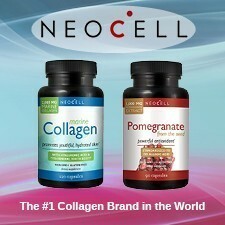 I ordered your product near the end of June and within days of taking it my pain was almost completely gone!! I am a believer. I just ordered 2 more bottles. The pain in my legs is completely gone now and the foot pain is 100% better. I only feel the pain a little when I wake up in the middle of the night to go to the bathroom—but I can live with that whereas before it was excruciating! Just wanted to say thanks ... My body hasn't felt this good in years! 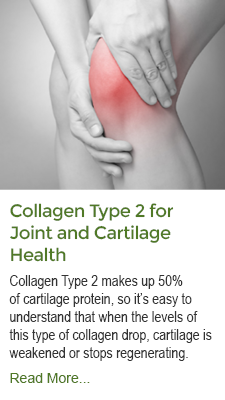 I have had rheumatoid arthritis for a couple of years. 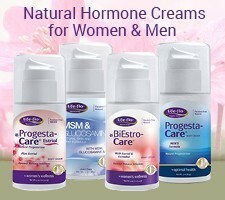 I have done my homework and tried many different enzyme products. Vitalzym works best. It helps with my pain and stiffness. 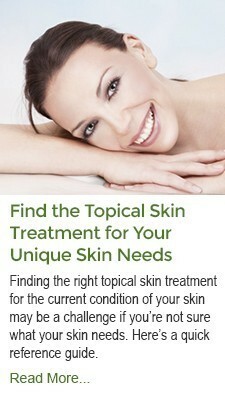 I use Vitalzym on a regular basis and wouldn't be without it. At the height of my fibromyalgia, I was taking four different prescription medications to control the pain and fatigue. After much trial and error of mixing natural supplements on my own, I found Vitalzym. 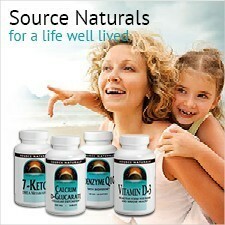 Recommended to me by a nutritionist, I began taking eight capsules per day of Vitalzym. 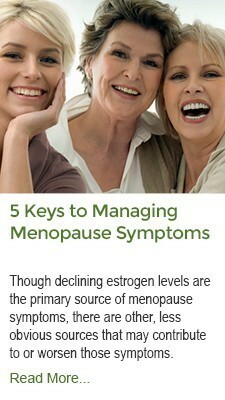 After the first month I slowly reduced the amount to four capsules per day, which I still take. I am happy to say that I am back to training for a half marathon and living every day to its fullest and prescription drug free. I have suffered for many years with severe allergies and continual back pain from injuries sustained while serving in the armed forces as a helicopter pilot during the Vietnam conflict. I started taking Vitalzym daily in January, and by March all but the mildest symptoms of my allergies have disappeared and I have had no back pain. I can now enjoy playing golf pain free and allergy free. Click HERE to see full label. *Note corn protein is now pH resistant enteric coating. Bromelain, papain, rutin, amylase, protease, lipase, amla and serrapeptase. For a full description of these ingredients, see the Ingredients page. Medium-chain triglycerides, starch, glycerin, polysaccharide, pH resistant enteric coating*, beeswax, glycerin fatty acid ester, soy lecithin**, citric acid. The MCT Oil (Medium-chain triglycerides) is used to enhance the effectiveness of the enzymes by protecting them from degrading. 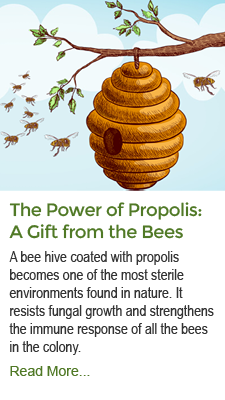 Each capsule contains 82.19 mg of MCT oil, derived from coconuts. 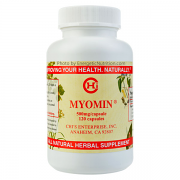 If a person takes 10 capsules per day, they are consuming 822 mg of MCT oil. * The corn protein (pH resistant enteric coating), which is derived from non-GMO corn, is part of the enteric coating around the capsule, and comprises less than 1% of the total product. There has not been a single report of an allergic reaction due to the corn protein in Vitalzym, but we suggest that if you have concerns about allergies please contact your healthcare provider regarding your own personal sensitivity levels prior to taking this product. 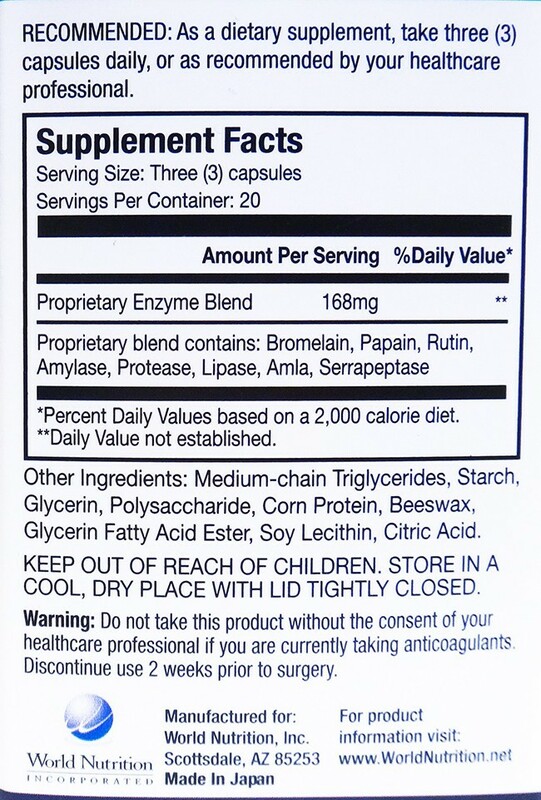 Corn protein was chosen over commonly-used phthalates (a dangerous plasticizer) for the enteric coating of the Vitalzym capsules. 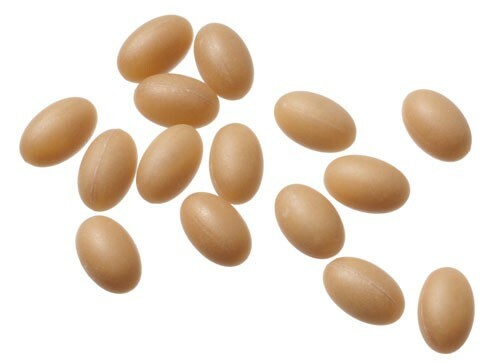 ** The soy lecithin acts an emulsifier, and is only in trace amounts - less than 1% of the entire product. Testing of soy lecithin has confirmed that no phytoestrogens are delivered to the body, and therefore there is no impact on hormones. People with a soy allergy have never reported any issues with Vitalzym capsules. Manufactured in Japan for World Nutrition, Inc. Vitalzym® passes both the USP (United States Pharmacopeia) and JP (Japan Pharmacopeia) testing for disintegration and dissolution. USP is a publication established in 1820 that contains legally recognized standards of identity, strength, quality, purity, packaging, and labeling for drug substances, dosage forms, and other therapeutic products, including nutritional and dietary supplements. Every batch is tested to ensure it meets the agency guidelines before exportation to the U.S.
Vitalzym is protected by a recyclable aluminum can that provides optimal protection for prolonged potency and shelf life. World Nutrition, Inc. currently imports three products from Japan: Extra Strength Vitalzym®, Vitalzym®Xe Professional Strength, and Ketsumeisei. 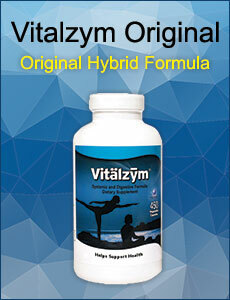 Original Vitalzym® is manufactured in the United States. 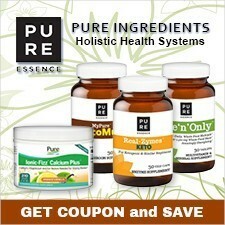 As a dietary supplement, take 3 capsules daily, or as recommended by your healthcare professional. 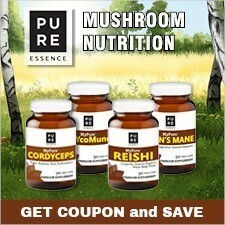 Take capsules at least 30 minutes before a meal, 60 minutes after a meal, or any time in-between meals. Or, take an activation dose as recommended by a healthcare professional.